OUTDATED, HISTORICAL VERSION -- Point data representing bus garage and facilities maintenance locations. To view or use these files, special GIS software, such as Google Earth, is required. OUTDATED, HISTORICAL VERSION -- Line data representing CTA bus routes. To view or use these files, special GIS software, such as Google Earth, is required. OUTDATED, HISTORICAL VERSION -- Point data representing over 11,000 CTA bus stops. The Stop ID is used to get Bus Tracker information. Current stops (coded as 1 in status field), Flag Stops – status 2, and stops both Temporarily in Service (Status 5) or Out of service (Status 6) are included. To view or use these files, special GIS software, such as Google Earth, is required. OUTDATED, HISTORICAL VERSION -- Point data representing locations of all bus turnarounds, including those that are not located at rail stations. To view or use these files, special GIS software, such as Google Earth, is required. Point data representing sites that sell/vend CTA Fare Media. Details include location type (ex. rail station, store) type of media sold (ex. Visitor Pass, Chicago Card) and for many locations the form of payment accepted. 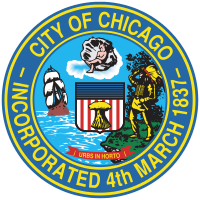 This lists datasets published by CTA in the City of Chicago Data Portal. OUTDATED, HISTORICAL VERSION -- Point data representing CTA park and ride locations. Details include number of spaces, cost, and rail station. To view or use these files, special GIS software, such as Google Earth, is required. This dataset gives annual ridership totals dating to the mid-1980s. Numbers are presented in boardings (see attached readme file for information on how these numbers are calculated). This dataset shows approximate, average, weekday boardings by bus stop from the month of October 2012. This dataset shows total daily ridership on a per-route basis dating back to 2001. Daytypes are as follows: W=Weekday, A=Saturday, U=Sunday/Holiday. See attached readme file for more detailed information. This dataset shows monthly averages, by day type (weekday, Saturday or Sunday/Holiday) and monthly totals for all CTA bus routes, back to 2001. See attached readme file for information on how these numbers are calculated. This dataset shows systemwide boardings for both bus and rail services provided by CTA, dating back to 2001. Daytypes are as follows: W = Weekday, A = Saturday, U = Sunday/Holiday. See attached readme file for information on how these numbers are calculated. This list shows daily totals of ridership, by station entry, for each 'L' station dating back to 2001. Dataset shows entries at all turnstiles, combined, for each station. Daytypes are as follows: W=Weekday, A=Saturday, U=Sunday/Holiday. See attached readme file for information on how these numbers are calculated. This dataset lists monthly station entry averages, by day type (Weekday, Saturday or Sunday/Holiday), as well as monthly totals, beginning in 2001. Note that some stations (such as on the Cermak Branch--now Pink Line) and Skokie did not have Saturday and/or Sunday/holiday service until more recent years, although, in cases where weekday service ran past midnight, late evening fares may appear as part of Saturday tallies. Data feeds which provide a pathway for developers to retrieve estimated arrival times, bus stop lists, route patterns, vehicle location information and more from the CTA Bus Tracker (SM) service and incorporate it into third-party apps and projects. These feeds of information help developers to get the latest information about planned and unplanned events that affect CTA services. General Transit Feed Specification (formerly "Google Transit Feed Specification") data package for CTA system, including stops, route patterns and full service schedule.